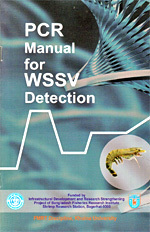 Topics : A Laboratory Manual for Detection of WSSV in Shrimp by PCR using non-patented and affordable reagents covers Shrimp tissue, Reagents required, Materials required, Procedures (DNA Extracting and PCR Procedures), Troubleshooting, Warnings and Precaution etc. : Infrastructure Development and Research Strengthening Project (IDRS), Bangladesh Fisheries Research Institute (BFRI), Shrimp Research Station, Bagherhat-9300. Visited 88 times, 1 visits today | Have any fisheries relevant question?